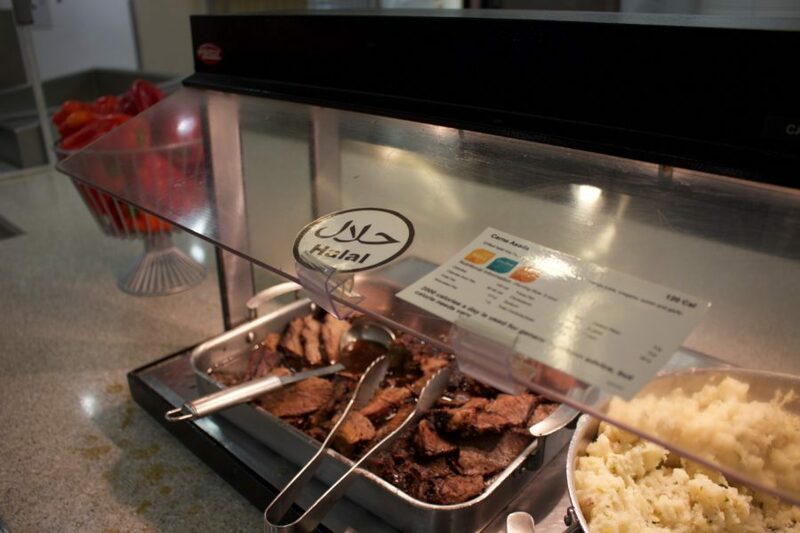 Carly Behm | The PHOENIX Aramark, the company that provides Loyola’s dining services, said the switch to allergen-friendliness in Simpson Dining Hall will add options for Islamic halal requirements, gluten-free diets, vegetarians, vegans and other nut and dairy allergies. Simpson Dining Hall will undergo changes to better accommodate students who have dietary restrictions, with an anticipated launch date at the start of the spring 2018 semester, according to an email from Aramark representative Monique Bonanno. Bonanno said this will be the first dining hall of this type done by Aramark, the company that provides food services for Loyola. 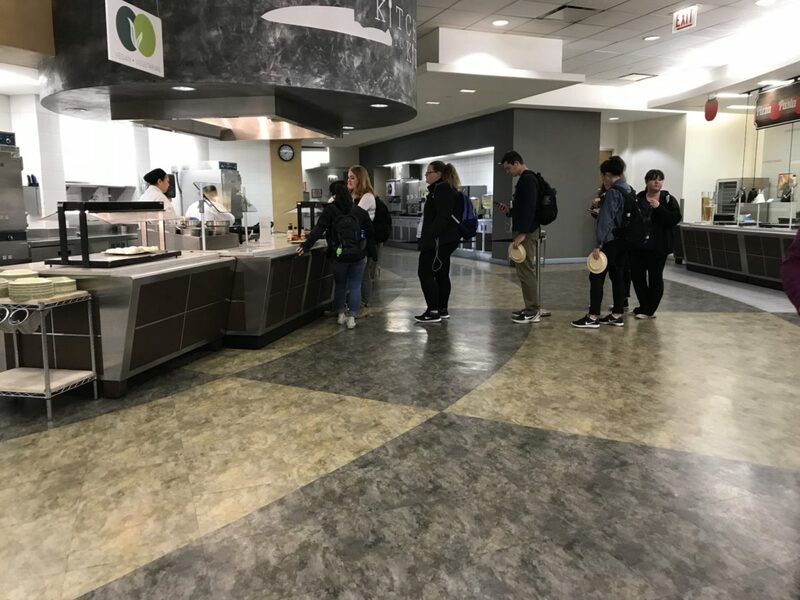 The changes will include the addition of several new food stations aimed at providing students with an “equal opportunity to enjoy dining services regardless of their food allergy or sensitivity,” Bonanno said. The proposed additions are a gluten-free zone, a vegan/vegetarian area and an allergen friendly station (free of milk, egg, wheat, peanuts, tree nuts, shellfish and soy). This will add to stations that have already been implemented in Simpson, such as halal — meat prepared according to Islamic law. The addition of specific stations will allow for these types of foods to be offered to students daily. Karan Rami, a first-year chemistry major, has been a vegetarian his entire life. Rami said he thinks the proposed changes would benefit everyone, but especially those with dietary restrictions who don’t have many options in other places. He said he hopes these changes will mean better tasting food, as well as more variety. Antonio Bantum, a junior double majoring in political science and philosophy, is allergic to shellfish. Though he doesn’t feel too limited by his allergy in dining halls, he said he thinks the proposed changes will be great for students who are allergic to foods such as nuts or milk, which leave a lot of options off the table. However, the changes could mean the loss of current food items in Simpson Dining Hall. Kennedy Murphy, a sophomore studying advertising and public relations, follows a gluten-free diet. In an email, she said that while she has noticed an increase in the number of gluten-free options on campus from last year, there are still a limited amount available depending on the time of day. Murphy said breakfast is the best meal for staying gluten-free in the dining halls. 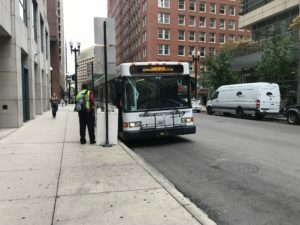 Dawn Collins, Loyola’s liaison with Aramark, said the company presented plans for approval at the beginning of the fall semester. She said Aramark proposed making Simpson more allergen friendly because it offers the most separate stations, which is necessary to accommodate restrictive areas. Jordan Hale, a junior studying neuroscience, follows a vegan diet and is allergic to shellfish, nuts and egg. She said she doesn’t struggle too much in the dining halls because she is used to reading the ingredients labels and staying away from her allergens. According to Bonanno, the costs for this project are not yet defined, but Aramark plans to complete the redesign during winter break to avoid operating with one less dining hall during the school year.